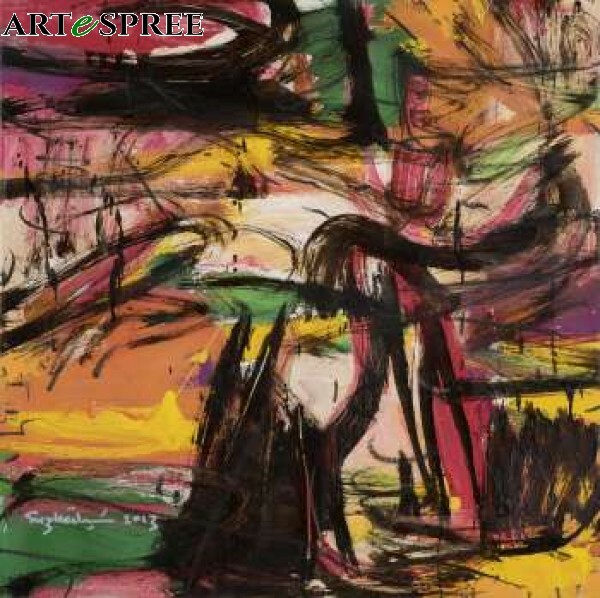 Suzlee Ibrahim is one of the nation’s most notably abstract expressionism painters. He started painting since he was 19. After he graduated from MARA Technology University, he worked in advertising and publishing companies before becoming a university lecturer. Suzlee actively participated in the Malaysian art scene. This allowed him to experiment in oil and acrylic, working towards creating his desired texture and subject on canvas.